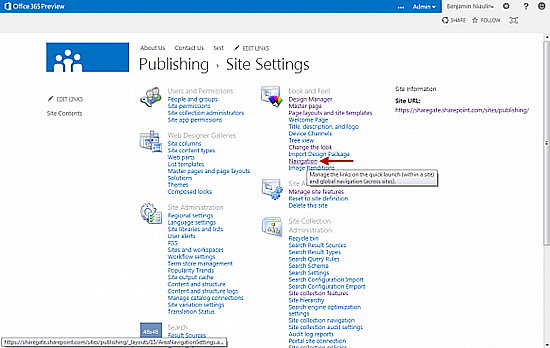 You may also be interested in: Documentation Toolkit for SharePoint by Acceleratio Ltd. 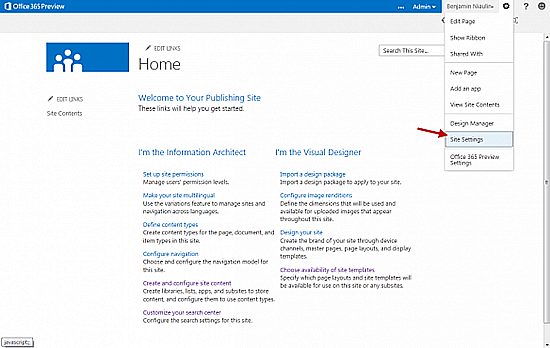 Brand new in SharePoint 2013 is the ability to apply friendly urls to pages, goodbye to /Lists/Posts/Post.aspx?ID=568 urls. Another huge improvement to Navigation is that we can manage it using the Term Store or Managed Metadata. 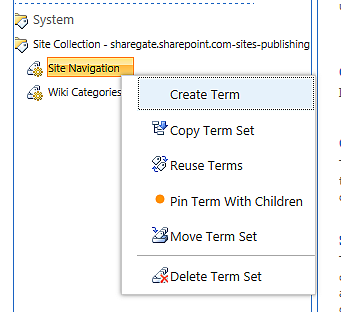 You will find the Term Store very familiar, it looks and acts the same so creating terms won’t be too hard if you are used to SharePoint 2010. But in case it’s your first time, Managed Metadata means that “Terms” or words, if you will, centrally stored and managed. You can delegate the rights to manage the Term Group and provide ways of writing a word based on the language. 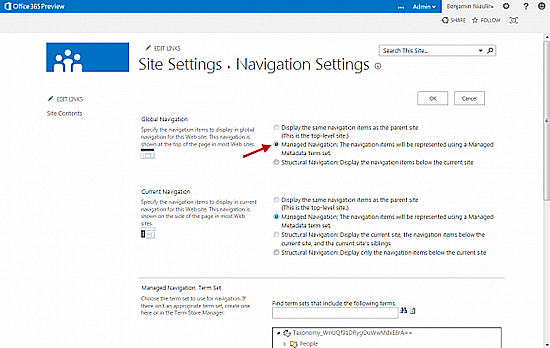 You will find yourself in the Global and Current Navigation settings menu. The Global Navigation is the menu at the top and the Current Navigation is the one on the left. The one we are looking at today is Managed. 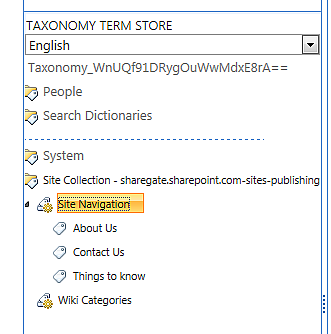 What we need to do next is create our Navigation items in the Term Store. 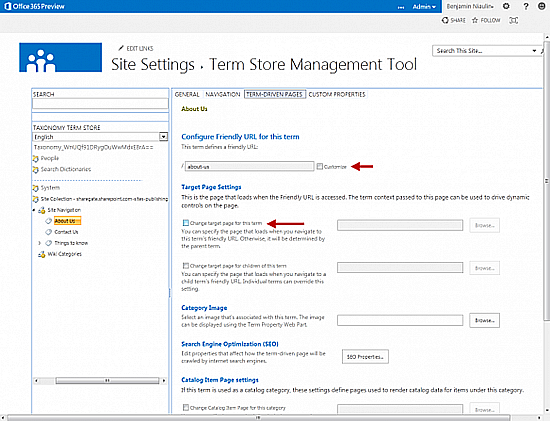 Lower in the page you will find an option to Open the “Term Store Management Tool”. 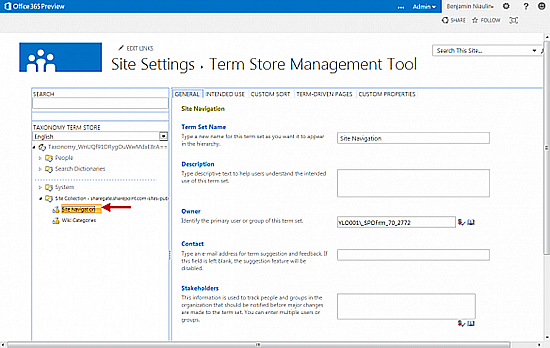 In the Term Store Management Tool, use the left pane to navigate to the Term Set you want to use for the navigation. 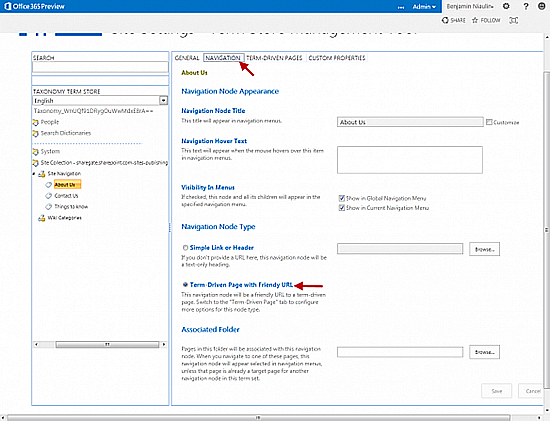 Using the little drop down arrow on the Term Set, Create Terms to reflect your desired navigation. 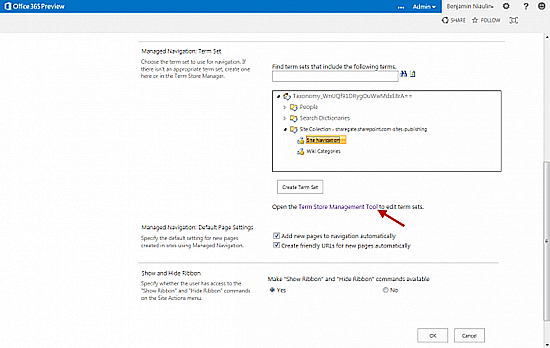 Ffor each Term (navigation links) we have just created, use the tabs at the top to manage “Navigation” and “Term-Driven Pages”. Term-Driven Page with Friendly URLThe Simple Link or Header is the more traditional hyperlink to an item or create a heading to group links. The Term-Driven is a little more powerful as it allows for friendly urls. Previous PostThe new SharePoint application modelNext PostSPTechCon – Happening This Week!